The first iteration of an exploratory collaboration between two visual artists & one dancer-choreographer. 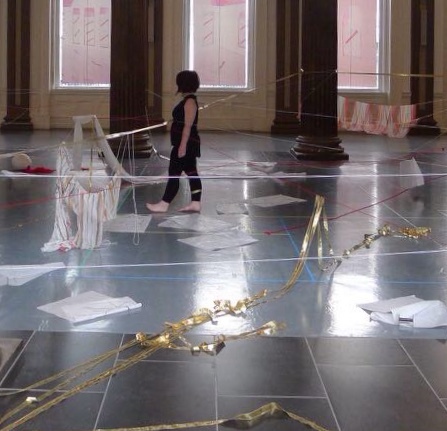 This will be an improvised residency where the artists will respond together through tasks, movement and environment. What challenges and inspirations can arise when you physically can’t be in the same location? One artist will be located in India working at a dance residency, the other two will be at St Margaret’s House whilst also juggling other jobs & commitments. How might they respond when they are together and apart? There won’t be a final exhibition output from this residency, but visitors are welcome to pop in and say hi.